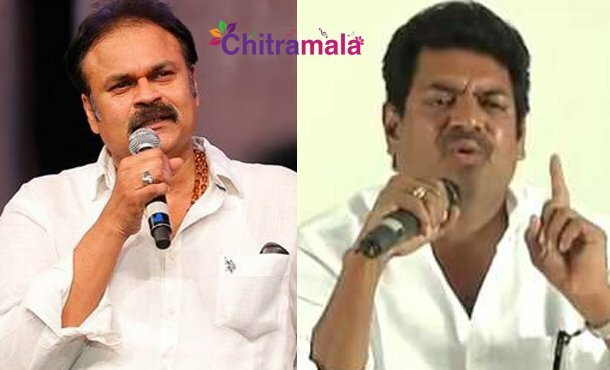 Actor Sivaji Raja has called for a press meet today and made controversial comments on ‘Mega Brother’ Naga Babu. He appealed to the public of Narsapur that they can vote for whomever they wish for except Naga Babu. After ‘MAA’ Elections, he has joined YSRCP a couple of weeks before and this is the second press meet held by the members of YSRCP following the press meet of writer Chinni Krishna. Sivaji Raja busted out at Naga Babu saying that he supported the people of started to scold him right after they won in the election. “He pushed back the progress of MAA. With a member of merely 600 he couldn’t even serve the association, how can you expect him to serve a constituency. ” He also bossy shamed him by saying that it would take 30 minutes for Naga Babu to get to hall from kitchen, how can he come to Narsapur and serve the public. “I’m still a die-hard fan of Chiranjeevi and will remain the same” concluded Sivaji Raja.